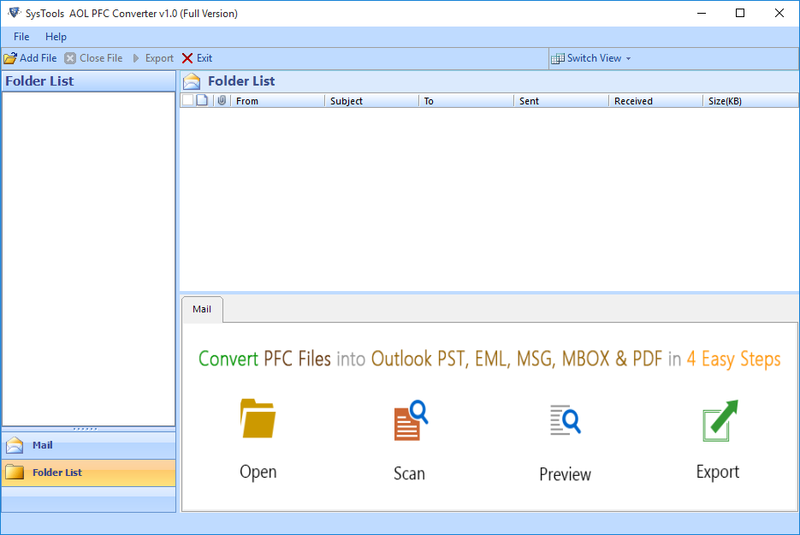 Best Tool to Transfer AOL PFC to Thunderbird, Mac Mail, PocoMail, Hotmail, Apple Mail etc. Freely, users can browse and export extracted PFC files of AOL email client to MBOX. There is no constraint imposed in the software either related to file size or number. Software will simultaneously convert all PFC into MBOX without any data loss. 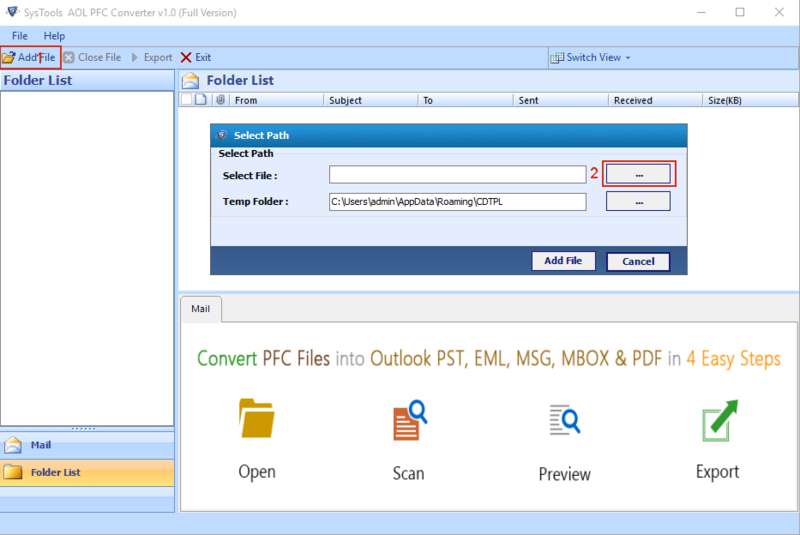 The AOL PFC to MBOX Converter is equipped with feature to show preview of each email to be exported. Once the file scanning gets completed, all mail folders in tree-structure gets loaded on left pane of the screen. Users can click on desired folders for exploring its data. The GUI of the product renders a workable measure for attaining the complex PFC to Thunderbird conversion with ease. For comfort of an end user, directions are equipped at every migration step for experiencing a risk-free and smoothing work. 1. 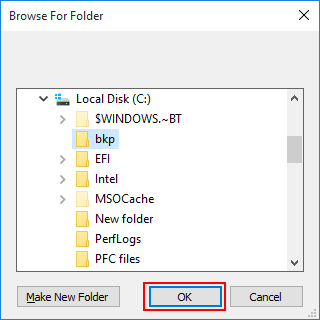 Folder Filtering: Only export desired AOL folder in MBOX. 2. 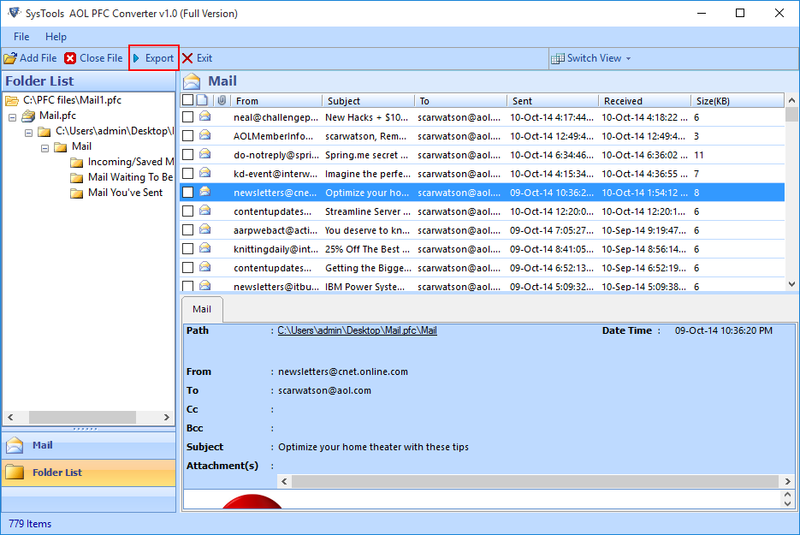 Date Filtering: Export messages of targeted date duration. 3. Email Filtering: Manually select wanted messages for conversion. AOL PFC to MBOX converter provides option to rename resultant files in desired naming format. 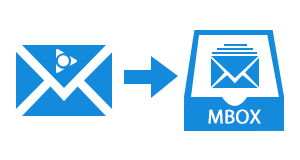 It offers several naming conventions, helping clients to decide the standard naming structure of MBOX file. Options like Subject, DD-MM-YY, Auto incremental, MD5,etc., are provided by this tool. The software is a Windows-based application, which is having no compatibility problem with any edition of Windows. It is supported on Windows 10, 8.1, 8, and all below versions. 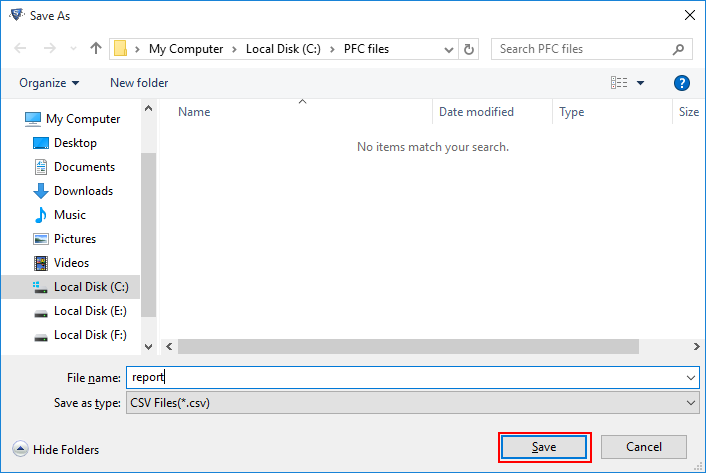 AOL PFC to Thunderbird converter keeps the same folder structure, as it was before the conversion. Also, email integrity is maintained throughout. How can I use date-based filtering feature of your utility? 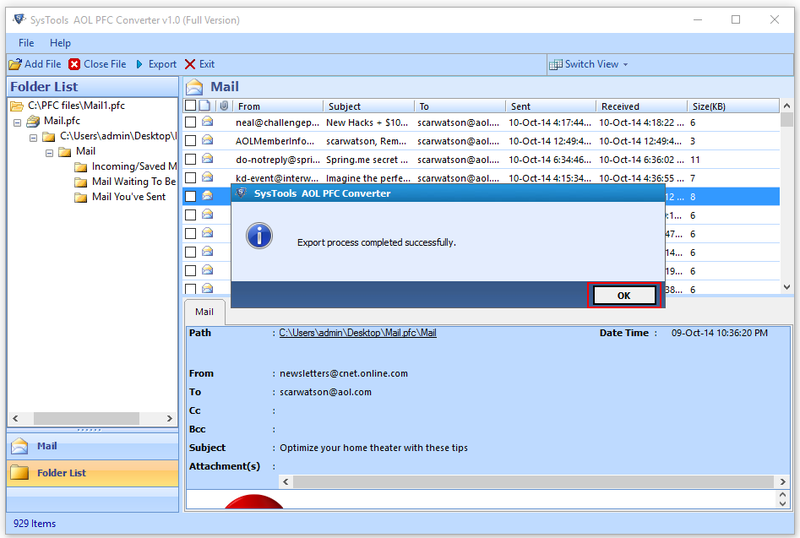 In order to utilize our email filtering facility, you have to enable Mail Filter checkbox. This checkbox appears in Export Options wizard of the tool. Instead of converting all messages, I only want to export 10 messages of AOL mail to MBOX format. Can I do this with help of your software? Yes, of course, in preview panel check the checkbox of all those emails, which you want to move in MBOX file. After this, right-click on the same windows and click on Export button. Now continue with rest procedure, which is provided in working guide of this tool. 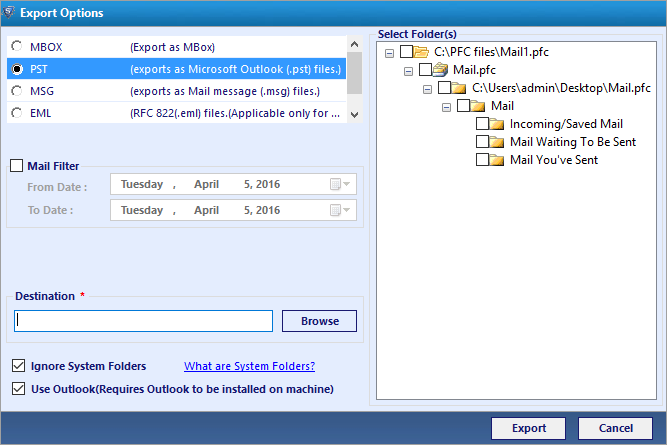 Will your software convert PFC emails with their respective attachments? Yes, our tool is capable of migrating AOL PFC to Thunderbird MBOX with attachments, as well. So, users need not to worry about the fact that whether email attachments will be exported or not. Download and install the trial / full version of the product. Once you are finished with all this, open the program on your PC. 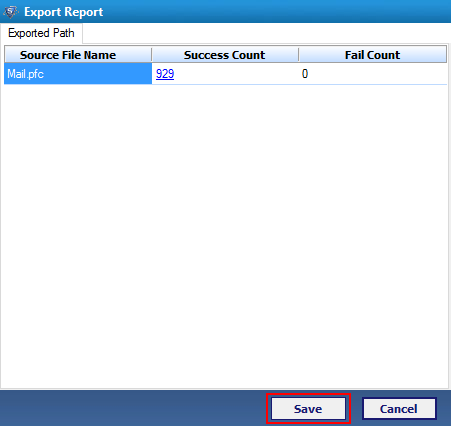 Once the scanning gets completed, click on OK button of resultant dialog box. "I was provided with an AOL PFC file and I want to view it. 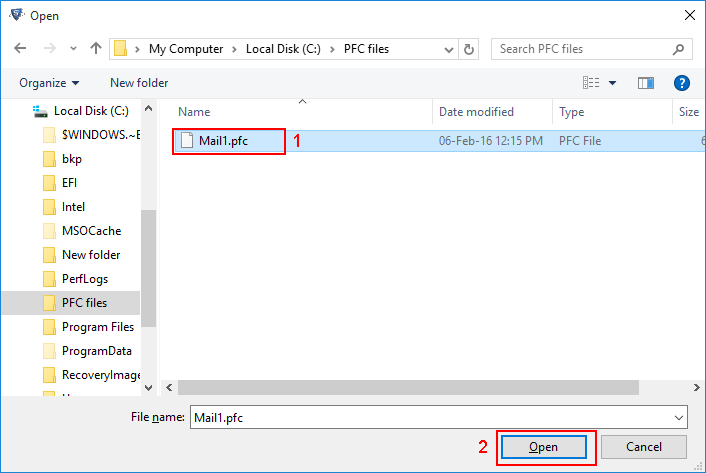 I was having Thunderbird installed in my machine so, was looking for a solution by which I open PFC in it. Therefore, I utilized this product to convert PFC into MBOX file. The application exhibits outstanding features within it that are very much helpful at the time of migration." 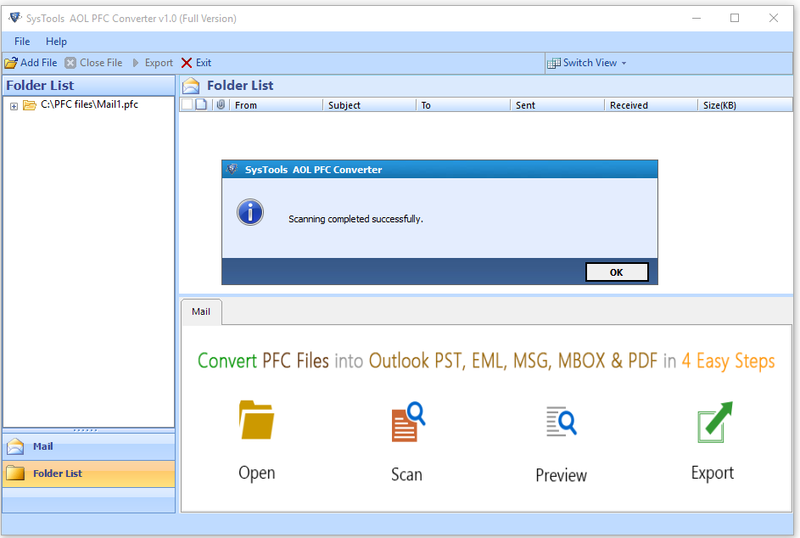 "AOL PFC to MBOX Converter is the best program to export PFC emails to MBOX format. The amazing part of this product is that it does not require any email client installation for working. Talking about the working speed then, it exported my 6 PFC files in just few minutes. I would like to recommend this software only to those persons who want to convert AOL to MBOX."